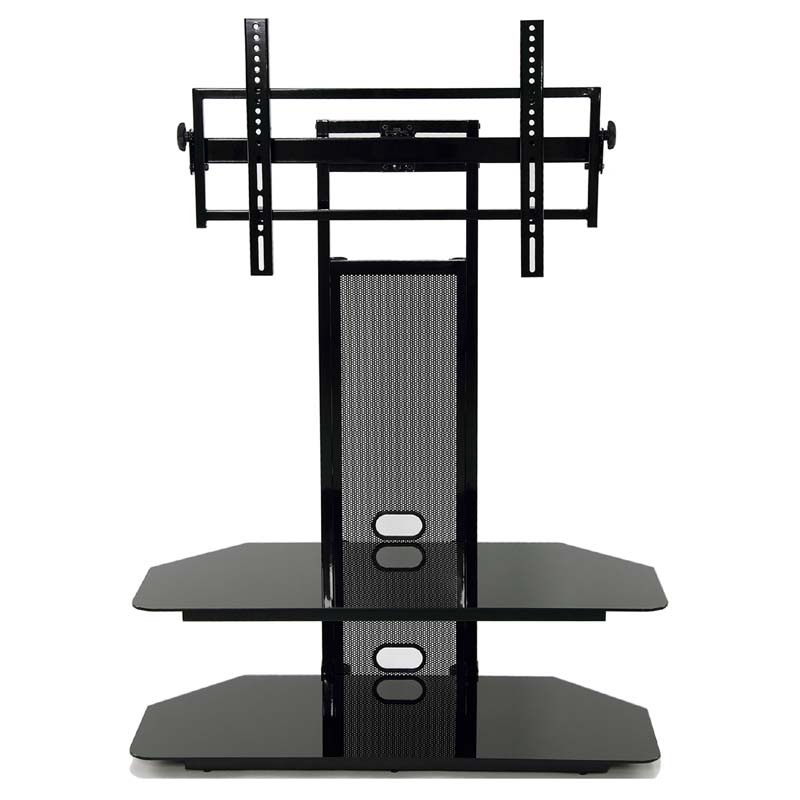 More on the TransDeco Black Glass TV Stand with Integrated Flat Panel Mount for 32-60 inch Screens (Black) TD560BCH below. 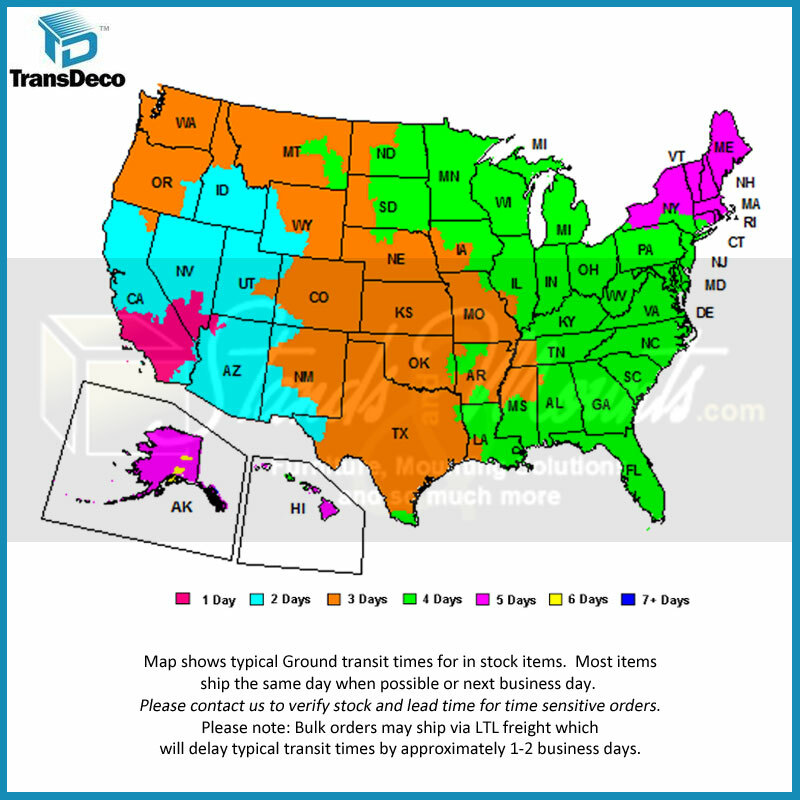 Accommodates most of the 32"-60" plasma, LCD/LED TV or not exceeding 150 lbs. 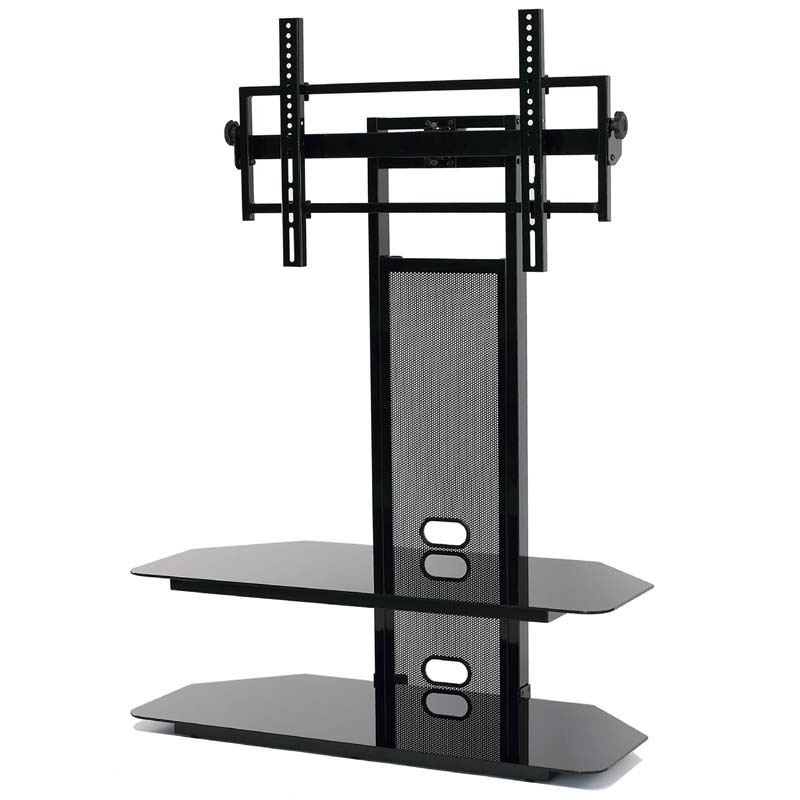 Universal flat panel TV mounting system with 12° tilt up or down and 15° swivel left or right. 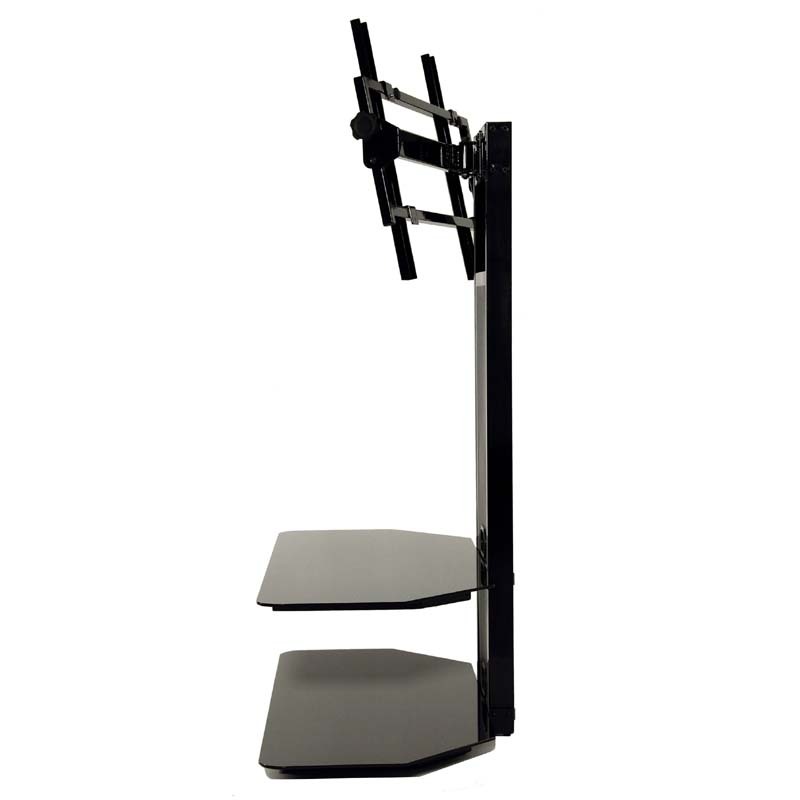 Maximum supported mounting interface: 700 mm (W) x 400 mm (H). Constructed with tempered safety glass with bevel edges and heavy gauge powder-coated scratch resistant metal with gloss black finish. Cable management system to hide wires & cables. Holds at least 2 audio video components and a center channel speaker. 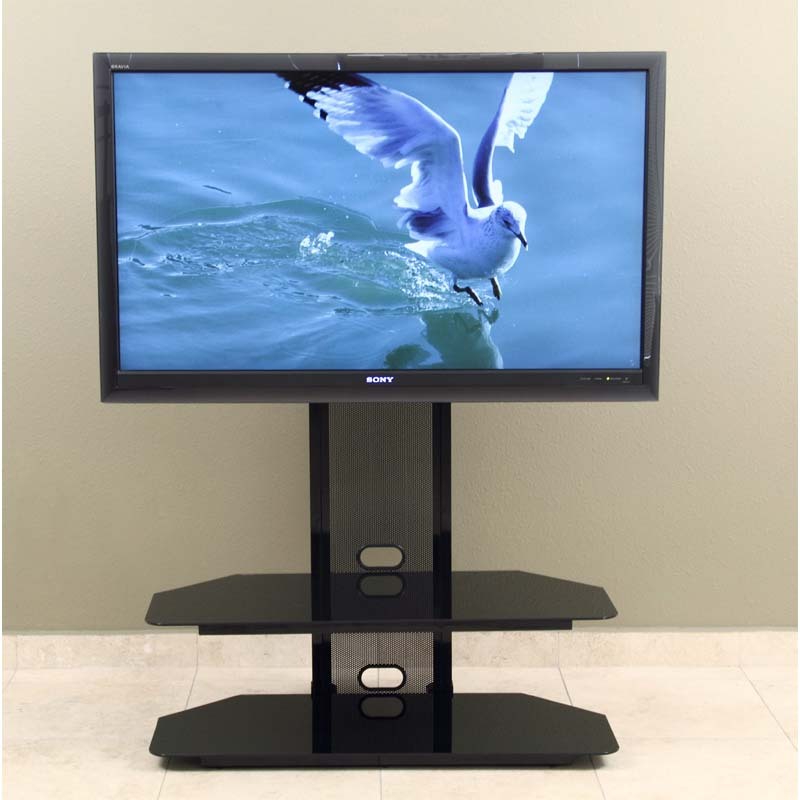 32-60" Plasma and LCD screens up to 150 lbs. Specific Mounting Patterns: 700 mm (W) x 400 mm (H) max.